I love finding new side hustles and today, I have a unique hustle which is very close to my heart because it is about traveling. Today, I have Emily from Coat + Coffee who by the way, has a great feed on Instagram and works from anywhere as a Travel Planner. This could be a very flexible and completely location-independent work for anyone, so let’s get to know all the details about this work-at-home opportunity. I’m a part-time travel blogger and content creator currently living in Phoenix, Arizona. I started my blog almost two years ago and I called it Coat + Coffee to combine my love of traveling in the winter months and my obsession towards coffee. So yeah, I talk about traveling a lot and try to give the best and most realistic tips possible! And I try to visit as many coffee shops as possible along the way. Since then, my blog has developed into few other areas and I’m also creating content for few brands. About a year ago, I started my trip planning service as a way to monetize my blog without having to turn to advertising. It’s been really fun so far! 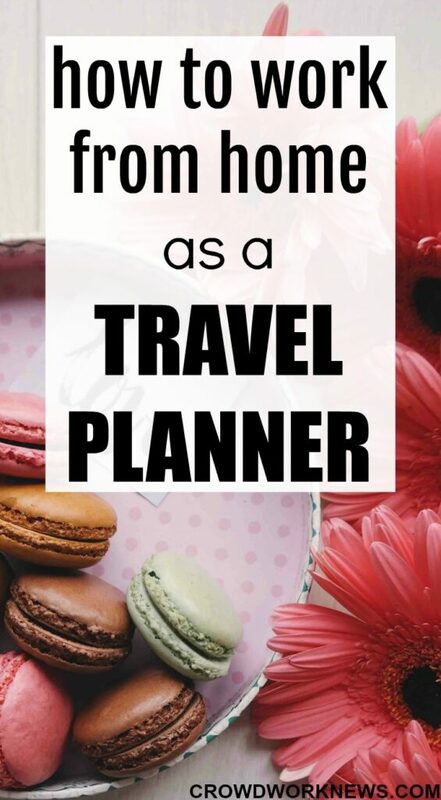 How did you get started as a travel planner? I really just started it! I totally believe that if you want to do something, then you just need to start. I had always been good at planning trips, and my friends and family were always asking me for advice on places to go, things to see, and where to stay. The information I was giving out was pretty valuable, and I thought “hey, I know people who would pay for this.” Around that time, I was also thinking that the time had come for me to start making money from my blog. I think I ran some advertising for a month or so and hated it. So this idea came right in time! Do you need to have a travel work background to work as a travel planner? Not necessary, no. You don’t really need a working background as a travel agent or anything. But what you do need is knowledge of the places you’re sending people to. This means you have to travel to those places and do those things. So basically, you should be a traveler part-time or full-time. Just getting started is huge. Do that, and you’re halfway there! You will definitely need to have a good looking website so people take you seriously. Also, you’ll need to think about things like setting up a way for people to pay you, and sending out invoices, etc. So just get started, but make sure you think through all the little details. Are there any resources to help a beginner? Not really. It’s a pretty untapped market! However, my best advice is to start doing it for free. Ask your friends if you can plan a day for them on their upcoming trip, that way you can gain experience. How much can a beginner expect to earn as a travel planner? It all just depends on what you think you’re worth. Researching and taking the time to plan trips for other people can actually be a daunting task. It’s not as easy as it looks, and hours are spent on the computer. So don’t undervalue yourself! If you’re spending the time and creating great trips for people, then you deserve to charge the fee you think you should get. I would say charging per hour or per planned day is the best way to go! Can you share some tips and tricks for someone who is interested to do this hustle? Again, start out planning trips for family and friends! That’s a great way to get experience and be more comfortable with what you’re doing. Always answer all emails, and try to communicate with your clients like they are family. I find that people really love when I am down to earth. I’ve had lots of people say that working with me is like “chatting with a friend.” I think that’s one of the things that makes the experience so special for people, and less like a generic travel agent experience. I thank Emily for giving us a peek into this new side hustle. I honestly think this a perfect work-at-home/side hustle option for anyone who is interested in traveling. Here is Emily’s trip planning page if you want some inspiration to get started.